DUE TO CIRCUMSTANCES BEYOND OUR CONTROL, SEAN COLEMAN AND THE QUASARS WILL NOT APPEAR. WE ARE HAPPY TO ADD THE GREAT ROY SLUDGE TO THE BILL AS A REPLACEMENT. 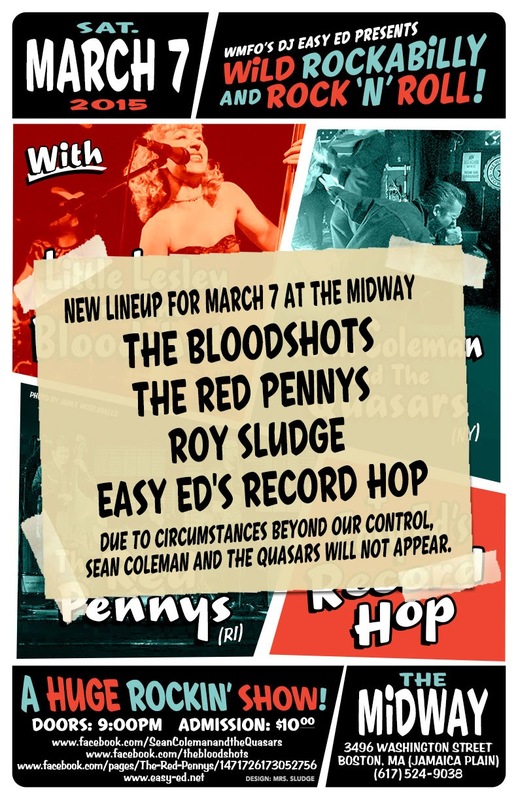 March 7, 2015: WMFO’s DJ Easy Ed Presents The Bloodshots, The Red Pennys, and Roy Sludge--Rockabilly and Rock ‘n’ Roll at the Midway! Little Lesley and the Bloodshots (NYC) gave a standout performance at the 2013 New England Shake-Up and nearly blew the roof off the Midway last year with their blend of rockabilly and hard-driving rock ‘n’ roll. We’re thrilled to have them back in Boston for this special event! The Red Pennys, from Providence, are a traditional rockabilly/honk tonk trio that’ll have you up and moving from the get go! Whether playing originals or covers, these guys--Gregg Figliozzi (guitar and vocals), Russ Dawley (drums and vocals), Bob MacDonald (upright bass)—really do it right! Roy Sludge plays classic country and rockabilly music with a heaping helping of humor thrown in. The Boston based Roy Sludge Trio (and Duo) have been playing the New England area for over 5 years. Their popular Sunday residency, enjoyed by young and old, earned them a "Best Residency" nomination at The Boston Music Awards in 2012 and 2013. Roy was nominated as "Best Male Vocalist" in 2013 and 2014. Their live shows have been described as "lightning in a bottle." DJ Easy Ed is the man behind “Easy Ed’s Variety Hour” on WMFO in Medford, MA. 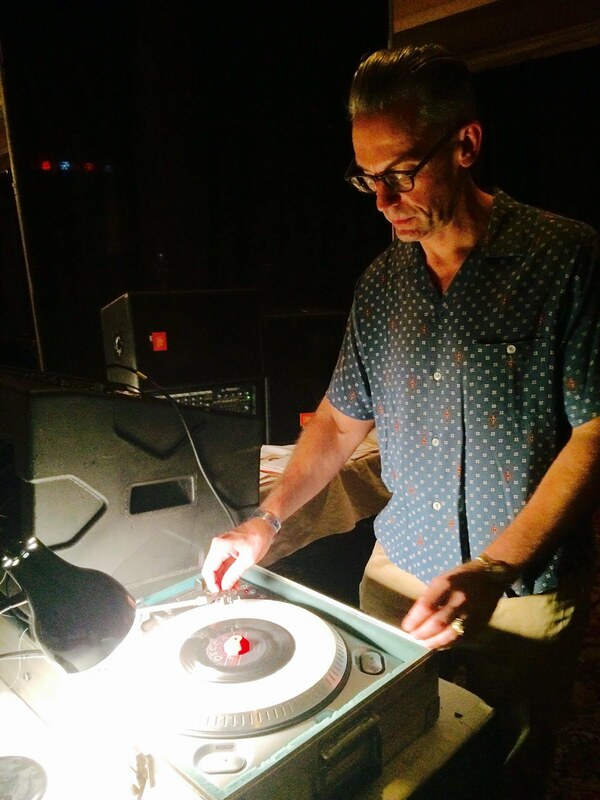 He spins rockabilly, hillbilly, and ‘50s and early ‘60s rock ‘n’ roll and R&B, specializing in dance-friendly 45s for folks who love to move their feet.